Red Chutney is spicy chutney made with combination of Kashmiri chilli, small onion and tomato.The colour, smell and taste of kashmiri chilli will make this chutney tongue ticking. It will tempt us to eat again and again. Thanks to my friend Jaya, I got this recipe from her. When I went her home for a dinner she prepared this chutney. We enjoyed this spicy, tongue tickling chutney there. And I asked the recipe from her and tired it two, three times then only it came out well. It is the best one when we get bored in doing chutneys. Just add spice to your food sometimes. It will make us interest in eating. Try this recipe for those spicy loves in your family..
Kurma Kulambu is a masala based gravy served along with rice. 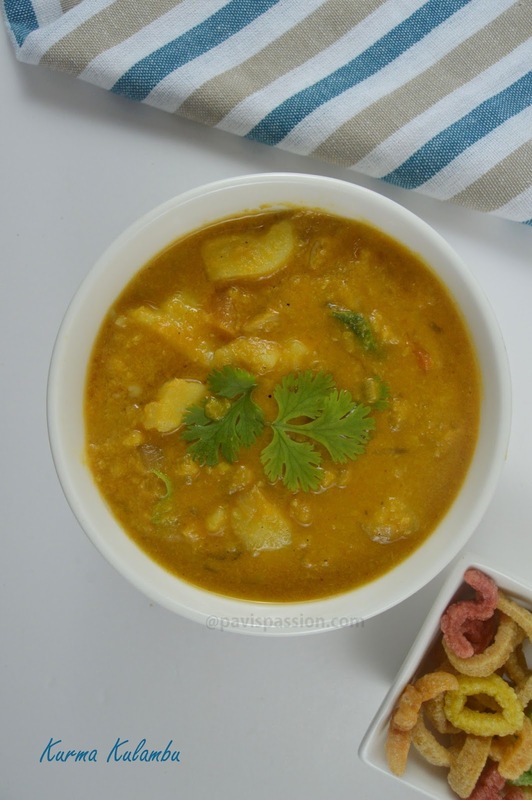 It can be done with potato blend with grounded coconut masala. It a South Indian gravy/kurma served with rice, roti and parathas. 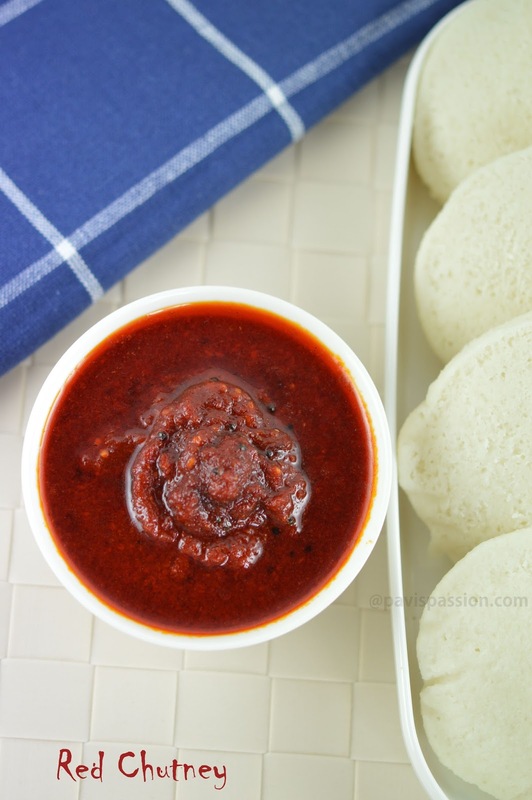 Its also a best side dish and well goes with South Indian parotta. My mother used to this recipe for lunch often at home. I will fell for it and I loved to eat as side dish for dosa at night. Till the last drop we ate this kurma. I think this will be a good accompaniment for anything. Just give a try today and hope you and your family will enjoy this so. 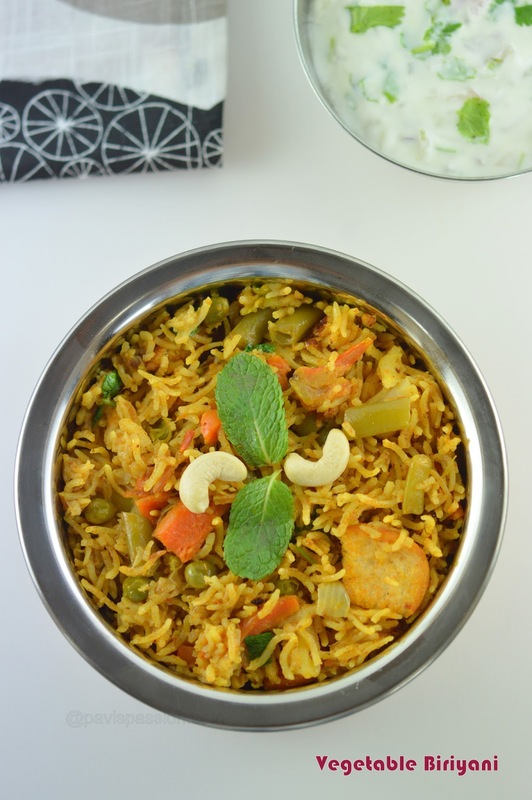 Vegetable Biryani is healthy delicious rice made with fresh vegetables, various types of spice and rice. Here with, add some coconut milk gives a great taste and aroma. Are you heard about veg biryani using coconut milk?, have you tasted it? Give a try for this most favourable biryani. My mom used to do biryani only using coconut milk, I never tasted biryani without it. After I got married my MIL also do this same. After this, I came to know that biryani can be made in different types. But I fell for only this. Now, I want to share this recipe to you all. Hope you will also like it so.